So you’re finally ready to explore Orange County, but don’t know where to start? Rest assured you’ve made a great choice in places; the OC is known for its beautiful beaches, fabulous restaurants, and scenic splendors – not to mention sought after shopping spots for finding that perfect frock or must-have pair of shoes! If you’re planning a memorable event for a group on the water, we’ve got lots of Orange County Visitor Information. Why not try Adventures at Sea, which charters luxury yachts for groups. Traveling with kids? Bring your family to Aquarium of the Pacific, one of the largest aquariums in the United States. There’s always plenty to do in Orange County! There’s nothing worse than finding yourself in a new and exciting place and squandering your precious time on excursions that disappoint. Take advantage of tourist brochures and plan ahead. If you’re vacationing on a budget, choose the restaurants you want to visit in advance based on reviews and price range to lessen the stress of last minute decisions. Try not to overstuff your days with activities that take a lot of mental energy, and plan downtime at a local beach or scenic vista on a day you visit a museum or a shopping outlet. Vacations should and can be stress free with the right amount of preparation. Sometimes visiting a big city can be a challenge, so we recommend you ask many questions to the Orange County Visitor Information Center, as they are trained and love to help people find their way in LA. Remember, visiting a place and making it comfortable is an evolving process, meaning, then first time you visit will know the least, but over time, you will find tricks and thoughts that make your visit to Orange County California a fully fine tuned endeavor. Also known as “The O.C.” to the locals, or to those who watched the drama filled television series by the same name in the early 2000’s, Orange County has a lot to offer from world famous beach cities to amusement parks for the whole family. 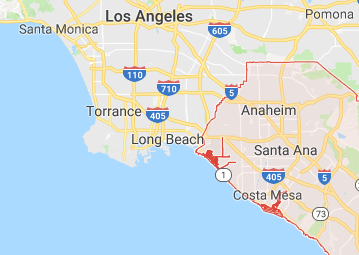 Orange County is comprised of several major cities including: Anaheim, Buena Park, Costa Mesa, Dana Point, Garden Grove, Huntington Beach, Irvine, Laguna Beach and Newport Beach (to name a few). Our favorite things to do in the O.C. are spending the day at Disneyland and California Adventure. Knott’s Berry Farm also tops the list of amusement parks in Orange County. But for those of you who are not into the Disney scene or into eating funnel cakes with Snoopy and the gang, you can always catch a night out with dinner and Hollywood style live entertainment at more affordable prices by attending a tournament at Medieval Times or a Pirates Adventure in Buena Park. Or let’s say you want to be more like the locals on your future trip to So Cal and skip out on the OC amusement park scene. Well, the locals love to hang out at the numerous beach cities in the OC. Laguna Beach, also a reference to a television show on MTV called “The Hills,” is known to have some of the prettiest coastal views, clear blue water, plus top of the line restaurants, shops and galleries in town. Looking for more Orange County Visitor Information? The Los Angeles and Orange County surf scene is hard to ignore. The waves out here on the west coast are perfect for surfers and if you’re in town at the end of July, try to catch the Vans US Open of Surfing in Huntington Beach for a glimpse at the world’s top surfers and skateboarders, plus local food trucks (yes, taco trucks in the OC) and vendors galore! Whether its hotels, beaches, or the glitz and glimmer of Hollywood California, there is so much to do and soak in. Begin planning your Socal Getaway today!